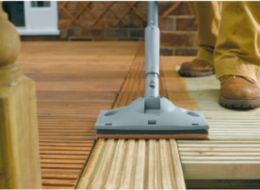 Although it may not seem like an easy task, cleaning your decking is straight-forward and cost effective way to make sure your decking looks its best for as long as possible. Over time, especially winter months, your decking may look dirty because of all the moss, mould, algae and dirt. 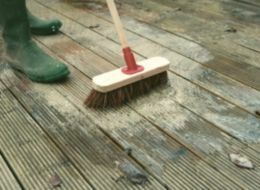 Using a decking cleaning solution you should clean it at least twice a year, in the spring and in the autumn. Now is the perfect time to prepare your decking and garden for summer. Using a stiff brush or scraper remove large build ups of moss or algae, then brush off any loose debris. 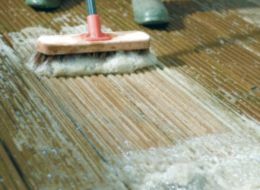 Following the manufacturers instructions prepare the cleaning solution for decking. Apply the solution using a brush or a sprayer. With the same stiff brush start scrubbing the surface immediately after applying the cleaning solution. 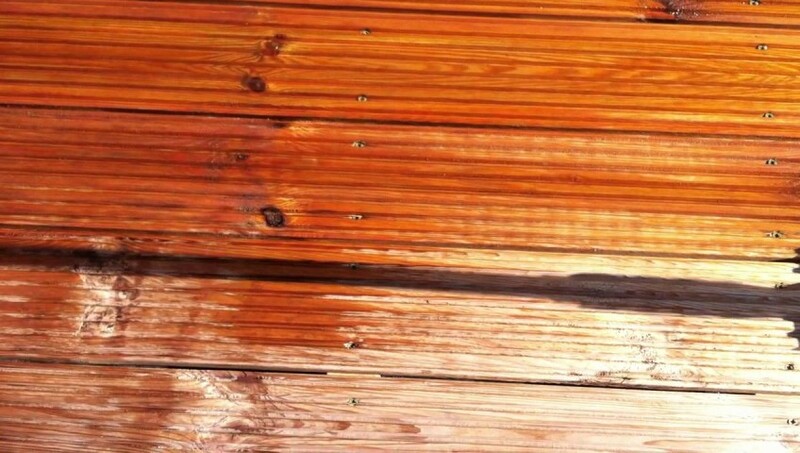 The last step in having a clean decking is to rinse the cleaning solution thoroughly with clean water. Make sure you wash all residue and any cleaning solution away. At least two days should be allowed for the decking to dry well. After that you can apply a protective coat. Your decking will look like new again. Need professional and reliable property maintenance company? Property Maintenance and Garden Improvements services across Surrey. Fixit Surrey goes live with new website! What Are The Benefits Of Adding A Patio To A Home? © 2015 FixIt Surrey. All rights reserved.